Many problems of trading and investing have a simple source: People follow the markets on a different time scale from their intended holding period. Here are the four success ingredients I've noticed among top performers across different markets, time frames, and types of trading. Can This Market Go Higher Still? I have not enjoyed the current rising market. I speak with a number of traders, and I have to say I observe little euphoria. If anything, the sense is frustration at not having participated in the rally. Skilled traders can detect transitions in the relationships among price change and volume change to profit from cyclical movements that capture bull and bear psychology. A common view is that our psychology is a prime determinant of our trading. We're starting to see divergences in behavior among sectors, with banks, industrials, and small caps underperforming. That may be an initial indication that the herd might be behaving in less herd-like ways going forward. ETF Aberdeen Emerging Markets Telecommunications and Infrastructure Fund, Inc. I have been deeply involved in performance coaching and recruitment at a number of hedge funds and trading firms, with a particular focus on utilizing solution-focused methods and positive psychology to build on trader/portfolio manager strengths. Teach brief psychotherapies to psychiatry residents and psychology interns. 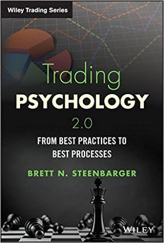 Trading Psychology 2.0 is a comprehensive guide to applying the science of psychology to the art of trading. Veteran trading psychologist and bestselling author Brett Steenbarger offers critical advice and proven techniques to help interested traders better understand the markets, with practical takeaways that can be implemented immediately. Academic research is presented in an accessible, understandable, engaging way that makes it relevant for practical traders, and examples, illustrations, and case studies bring the ideas and techniques to life. Interactive features keep readers engaged and involved, including a blog offering ever-expanding content, and a Twitter feed for quick tips. 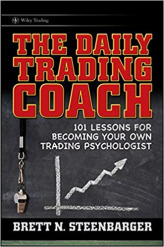 Contributions from market bloggers, authors, and experts bring fresh perspectives to the topic, and he draws his own experience in psychology and statistical modeling as an active trader to offer insight into the practical aspect of trading psychology. 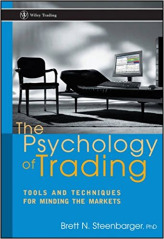 "The one, only, and by far the best book synthesizing psychology and investing. In addition to providing modern, scientific knowledge about psychology, this book provides a mirror into the mind and wide breadth of knowledge of one of the leading practitioners of brief and effectual cures. Will help to cure your trading and your life." "How refreshing! A book that rises above the old NLP model of the 80's and provides insights on how our relationship with the market is indeed a very personal one. 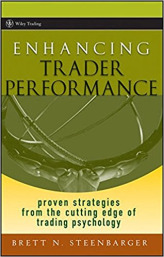 Not only has Steenbarger provided some fantastic tools for the trader to transform his mindset, but he has contributed unique trading ideas as well. Brilliant!" -Linda Raschke, President, LBRGroup, Inc.